Thick, sweet, buttery and chewy, with a perfectly crisp edge, all covered in colorful festive sprinkles, this cookie for one is sooo good and super simple to whip together, right in one bowl. 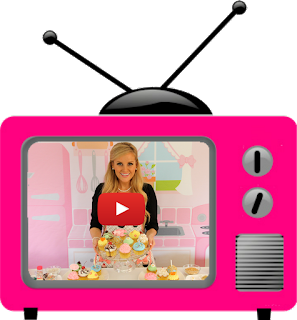 Even bake it right in the toaster oven in minutes, for a simple, quick alternative! This recipe is a scaled down and slightly altered version of my Rainbow Sprinkle Sugar Cookies (which you can use to yield 4 giant cookies if you want!). The dough comes together with a few simple ingredients. Then comes the best part... SPRINKLES!!! Shape into a little disk, bake away, and no time, you are snuggled up on the couch, with a glass of milk, nibbling on a ginormous cookie, all for yourself. The parchment paper really helps the cookie bake up nice and think for a beautiful, giant round cookie. 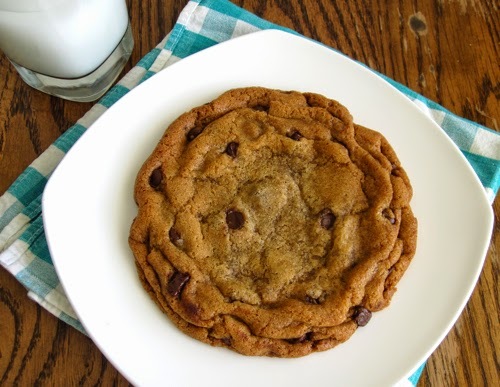 This recipe was inspired by my Giant Single-Serving Chocolate Chip Cookie For One. I just can't wait to share all of the other flavor variations I come up with! 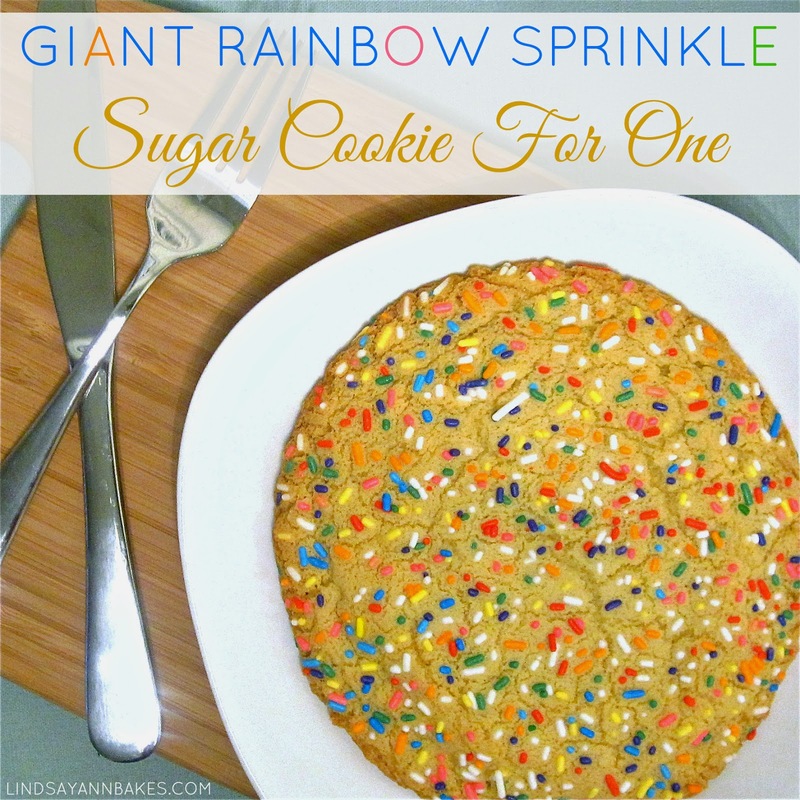 *Use my Rainbow Sprinkle Sugar Cookies to yield 4 giant cookies! Beat together butter and sugars with an electric mixer or wooden spoon. Add the egg yolk and vanilla extract until well combined. Stir together the flour, baking soda and salt, and mix it in to the dough, just until it is incorporated. Scoop dough onto center of your baking sheet into a large mound. If dough is too sticky, you can refrigerate it to firm up. Shape into a large disk and cover with sprinkles. Cookie dough can be refrigerated for up to 48 hours. Bake in preheated oven or toaster oven for 13-16 minutes, or until edges start to turn golden brown. Do not over bake. Let cookie sit on baking sheet for about 5 minutes.